You can always count on London Fashion Week for bright and quirky street style. 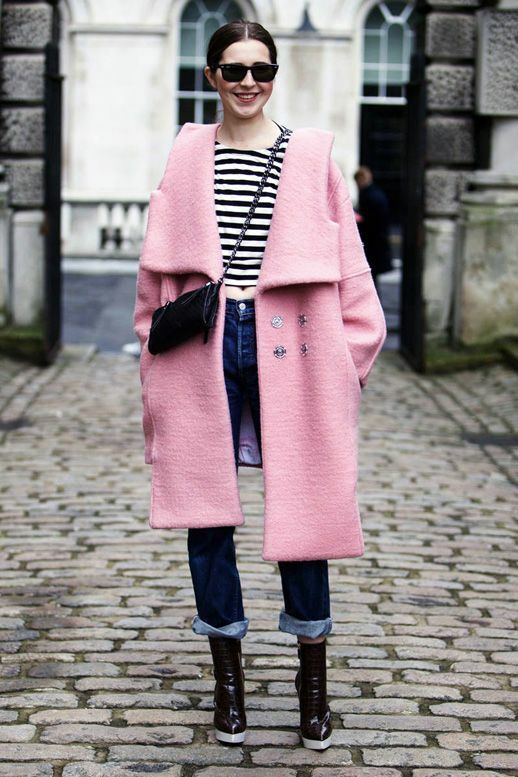 Adore this pink coat mixed with the striped crop top, boyfriend jeans and Stella McCartney boots. Her smile just makes it that much better. People always look so serious in street style shots.